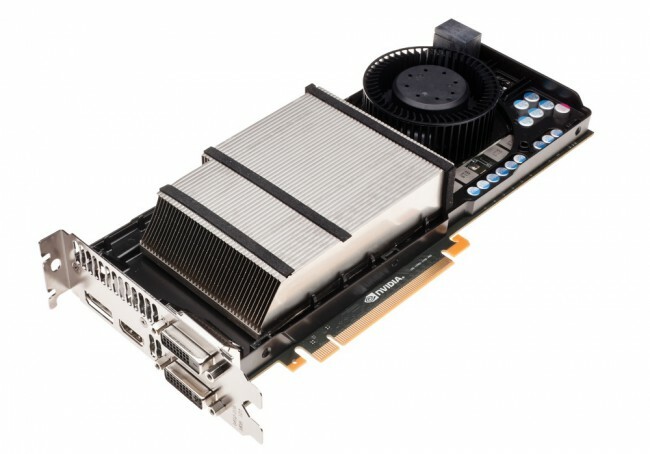 Times are changing and the next update of the architecture of the graphics solutions of the main players of the market, to which the announcement of NVIDIA Kepler can undoubtedly begin, are eagerly awaited not only by enthusiasts, but also by casual users. After all, the arrival of the new architecture means not only the emergence of super-powerful solutions for gamers, but also the massive upgrade of more affordable and popular video cards of the middle and initial levels. It is significant that this time the announcement of NVIDIA Kepler directly affected and users of laptops, which will soon be able to purchase the first ultrabooks with discrete graphics cards. And finally, the promo video and recommended price, which will be about 5000 UAH (419 euros excluding VAT in Europe or 17,999 rubles in Russia). And now let’s get down to the actual description of the press event, which quite unexpectedly began with the demo “Samaritan”, presented by Mark Rein from Epic Games. The fact is that for the first time the video was shown at the last year’s Game Developers Conference, so at first it was not entirely clear what the company wanted to say about this impressive in terms of graphics, but not too new demonstration. 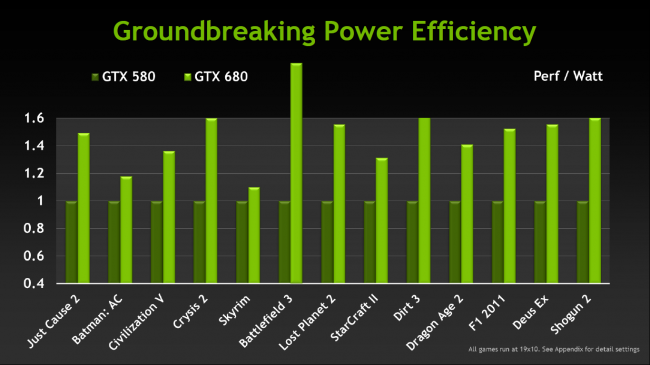 However, the intrigue was solved quite quickly – if last year three NVIDIA GeForce GTX 580s were working in a test stand that could demolish this demo, then this year alone was enough – a new NVIDIA GeForce GTX 680, built on the new Kepler architecture . The next demonstration of a game familiar to all gamers Battlefield 3 caused about the same skeptical feelings, but again, exactly, until everyone was shown what it’s on. 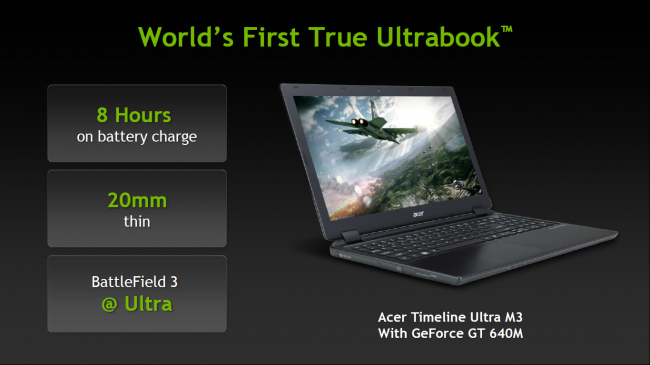 Ultrabook from Acer with discrete graphics NVIDIA GeForce GT 640M? But this is already very interesting, since ultrabuki are not the devices from which the potential owner usually expects to get an outstanding graphic performance. 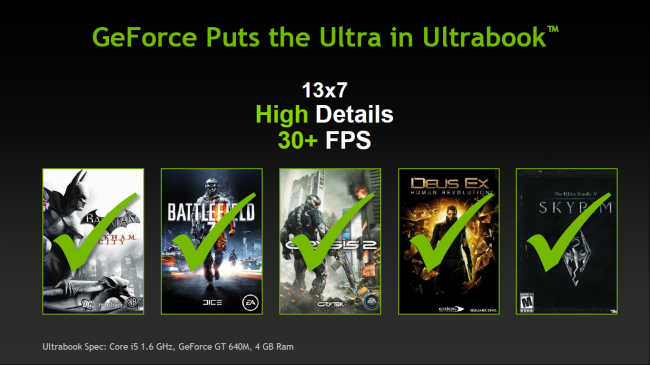 Slim body and long battery life – yes, the ability to play a quality 3D game in a free minute from work – no. Although why not, if you can get both the first and the second at the same time? 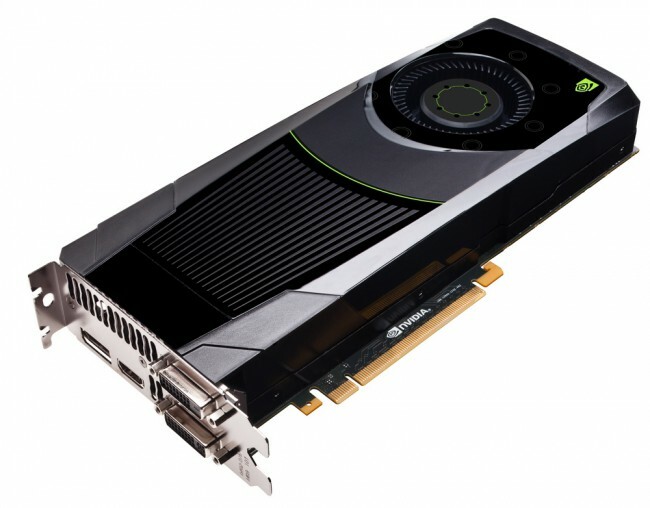 Both demos set the initial presentation vector – NVIDIA Kepler was not just a more productive, but also more energy-efficient architecture. And this means not just a banal energy saving, but less heat and noise in desktops, as well as greater autonomy in laptops. 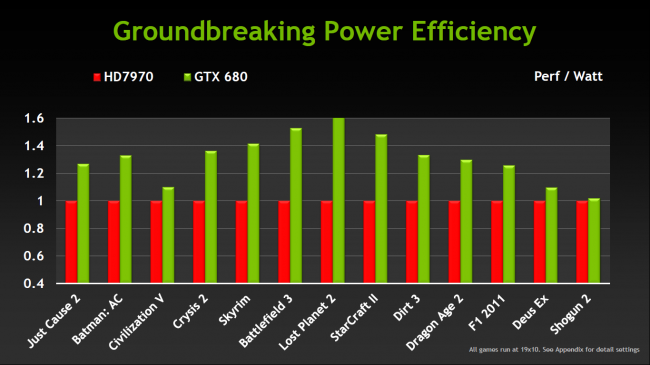 According to NVIDIA, the flagship model on the new Kepler architecture has become the fastest and most energy-efficient video card ever built. 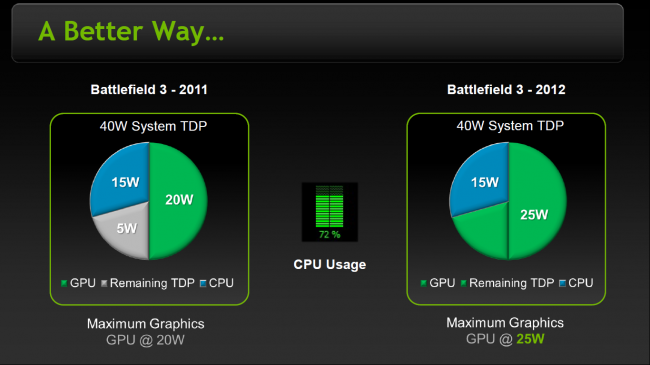 The Perf / Watt indicator is used to estimate the last parameter and it is clearly seen on the diagram that, depending on the game, the increase in energy efficiency of the GTX 680 compared with the previous generation GTX 580 solution is 1.1 to 2 times, with an average level of 1.5. It is interesting that the same dependence can also be traced in comparison with the current solution from the main competitor. 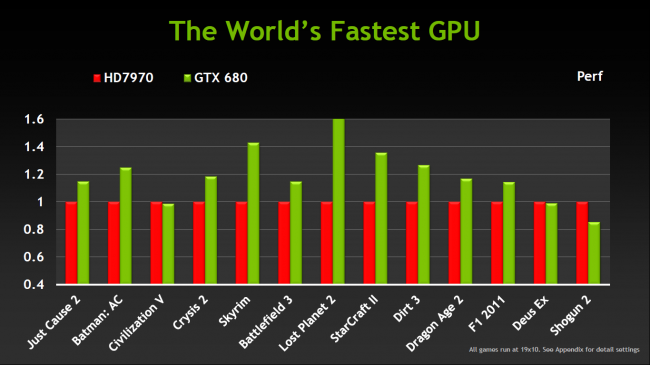 However, gaming enthusiasts are primarily interested in performance, but here the GTX 680 is in order – the comparison with the HD7970 shows it quite clearly. What methods achieve such a gain in speed? 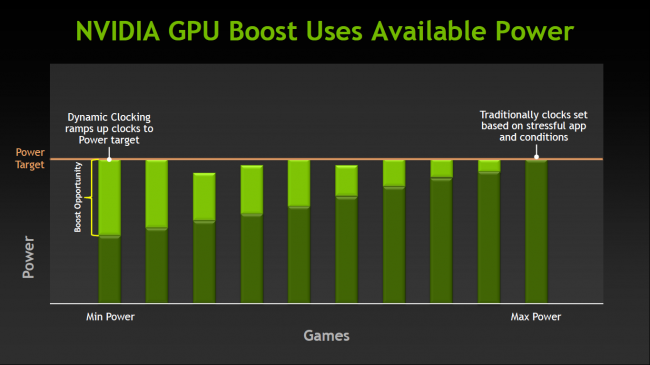 NVIDIA has implemented in Kepler automatic overclocking technology GPU Boost, which increases the operating frequency of the video card in modes with minimal power consumption, converting excess energy into additional performance. 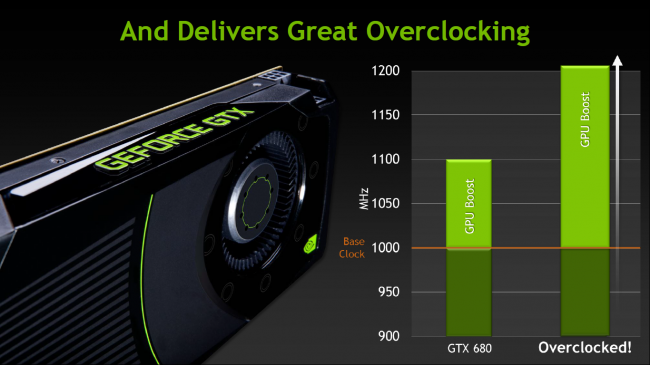 The clock speed is about 100 MHz in the standard mode, up to more than 200 MHz, available when overclocking the NVIDIA GTX 680. The following innovations are directly related to image quality. The next three screenshots show a fragment of the demo “Samaritan” without antialiasing, as well as anti-aliasing 4x MSAA and NVIDIA FXAA. As you can see, the latter option looks the most qualitative, while it is calculated at 60% faster than the usual and less efficient 4x MSAA. 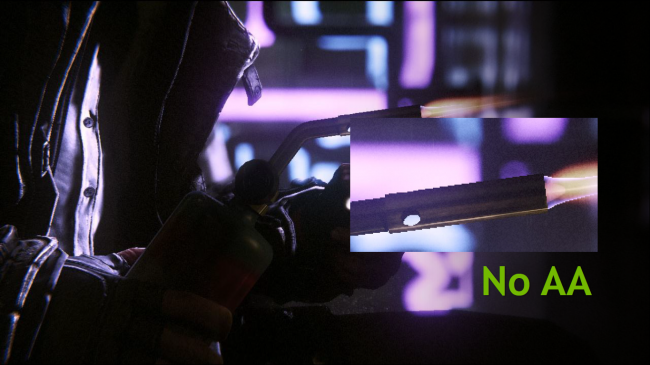 Note that this variant of antialiasing can be used in the settings of NVIDIA drivers, which allows using it for games that do not yet support it. 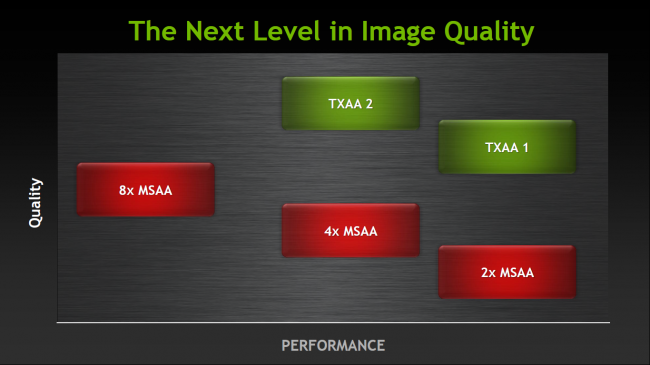 In addition to the FXAA shown last year, NVIDIA unveiled its next version of antialiasing, called TXAA. 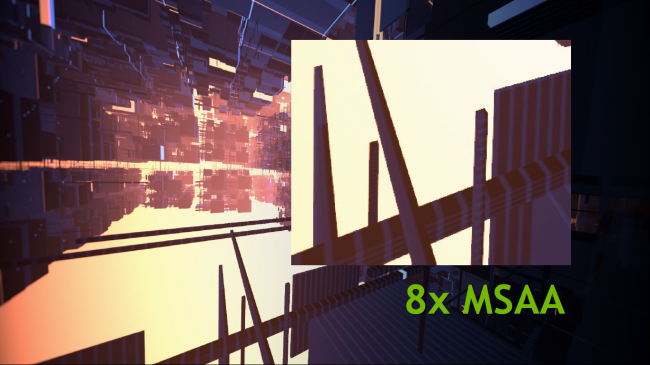 This is a combination of hardware multisampling with high-quality antialiasing, available in two versions: a standard TXAA 1 that provides a quality level higher than that of 8x MSAA at a performance cost comparable to 2x MSAA and a high-level TXAA 2 with the highest quality level to date. Below are screenshots that allow you to evaluate the quality of TXAA technology. 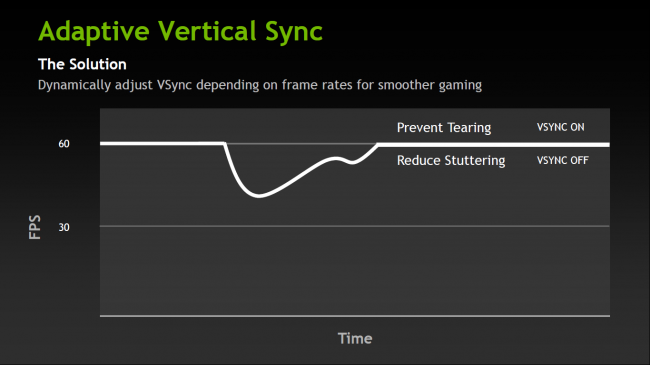 The use of the vertical synchronization mode also has a significant effect on the quality of the image during the game. 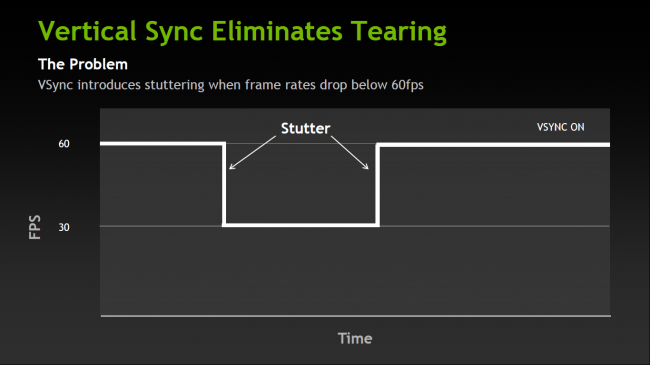 In the classic case, when VSync is enabled, a frame rate drop below 60 automatically reduces fps to 30 frames per second. However, Adaptive Vertical Sync technology avoids such an obvious failure in fps, significantly increasing the smoothness of the image. 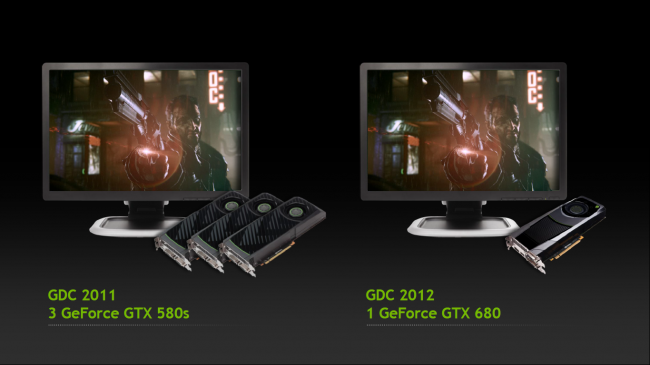 Professional gamers who prefer to use multi-monitor configurations for a more complete immersion in the gameplay will surely appreciate the technology of 3D Vision, which allows you to connect three displays to a single NVIDIA GTX 680 simultaneously. 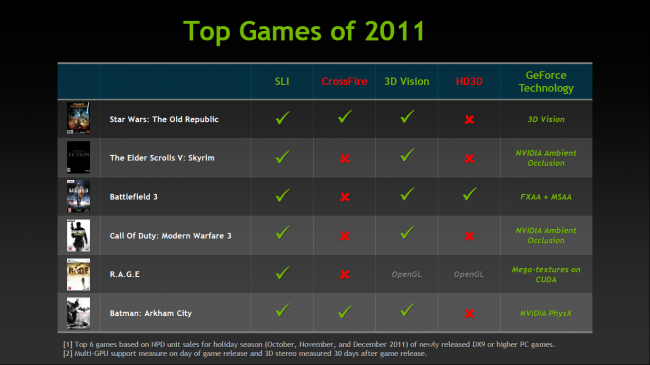 Below is a table of compatibility of various technologies of multiple display with top games of 2011. To date, ultrabooks are the most trendy topic of the mobile market on a par with tablets and smartphones. In this case, casual users usually do not pay attention to the fact that this is not just a beautiful term, but a trademark of Intel, which has the right to determine the list of requirements necessary for getting into this class requirements. 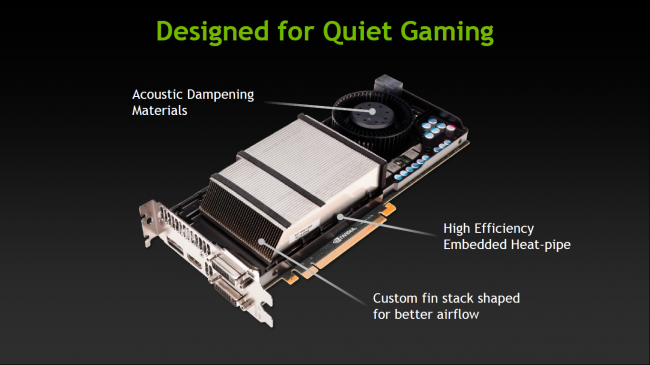 Interestingly, prior to the announcement of the architecture of NVIDIA Kepler, the list of such conditions did not include the mandatory absence of a discrete video card in ultrabooks. Other requirements, such as the minimum thickness of the case and the maximum possible autonomy, meant that there was no place for productive graphics solutions in this class, but there was no formal prohibition from Intel. As it turned out, the mobile version of NVIDIA Kepler has such a moderate power consumption that an ultrabook with a discrete video card has become a reality. 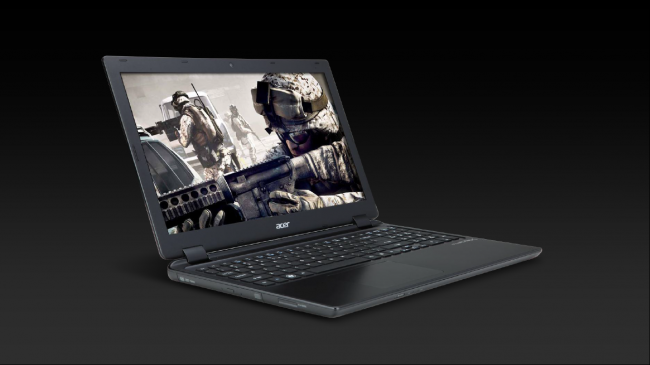 The first solution was presented by Acer, whose Aspire Timeline U M3 model is based on a bunch of Intel Core i5-2467M processor and NVIDIA GeForce GT 640M graphics. This medium-format model, enclosed in an ultra-slim body of only 2 cm in thickness, can work up to 8 hours in office mode and at the same time it can provide a comfortable level of performance in modern game projects. 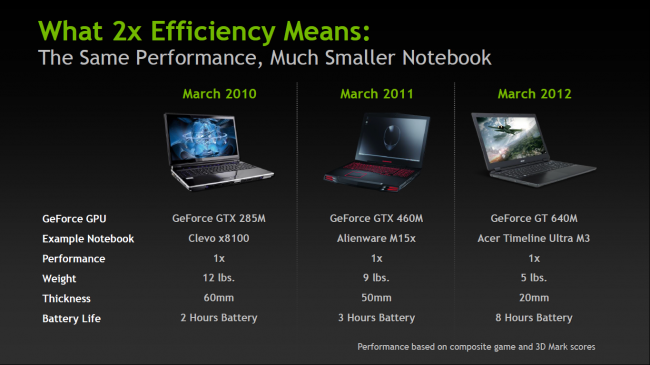 At the same time, the Acer Aspire Timeline Ultra M3 model delivers the same level of gaming performance, which could boast of much more spacious and weighty solutions of past years based on the GTX 460M and GTX 285M. 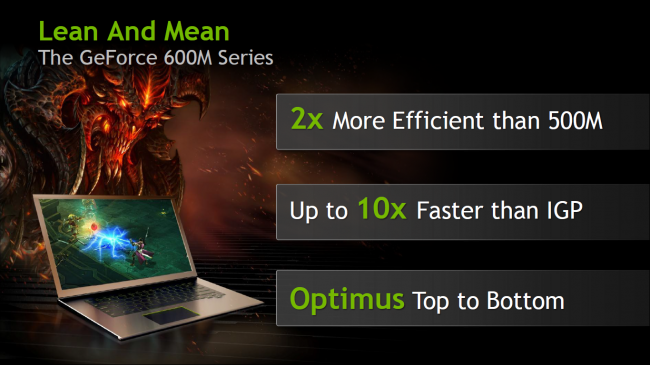 NVIDIA company noted that the GeForce 600M is twice as productive as the previous generation 500M graphics cards and up to 10 times faster than the current integrated graphics solutions. 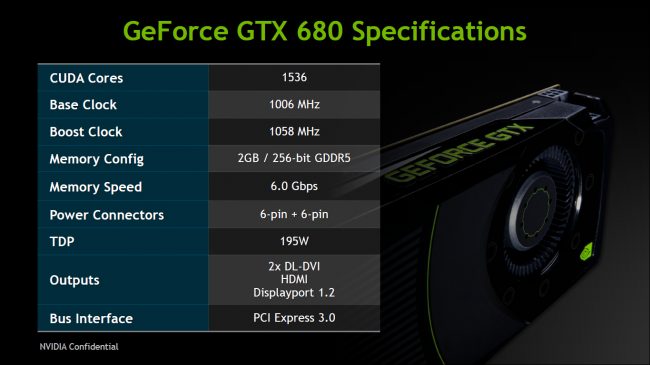 It is significant that even an entry-level solution, NVIDIA GeForce GT 620M provides playable fps in a number of modern gaming projects. 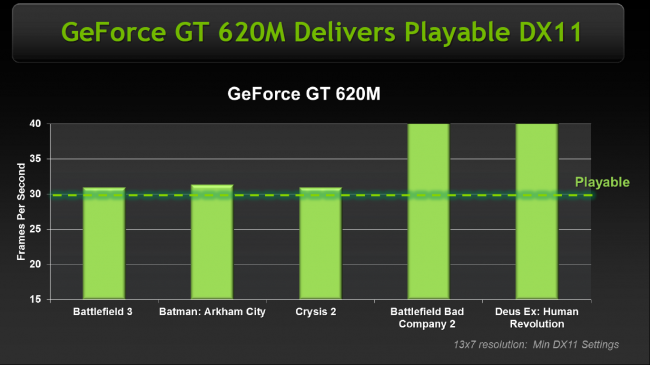 With the same performance level, the GeForce 600M graphics consumes half the power, which is especially important when used in ultra-thin ultrabooks, which can not afford to use a bulky cooling system. 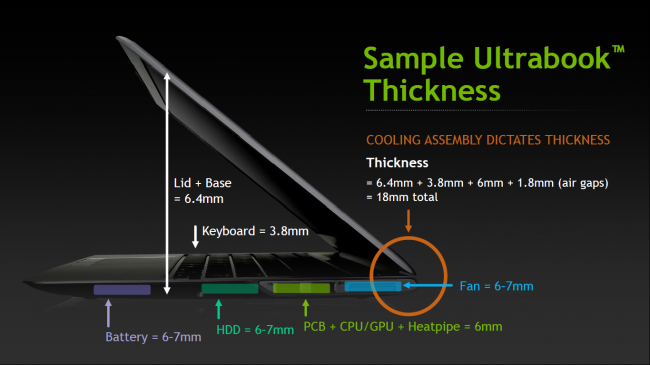 In this case, the maximum TDP level that can be handled by the standard cooling system of the laptop goes literally to units of W and the use of energy-efficient processors allows to release the additional quota used by the graphics. 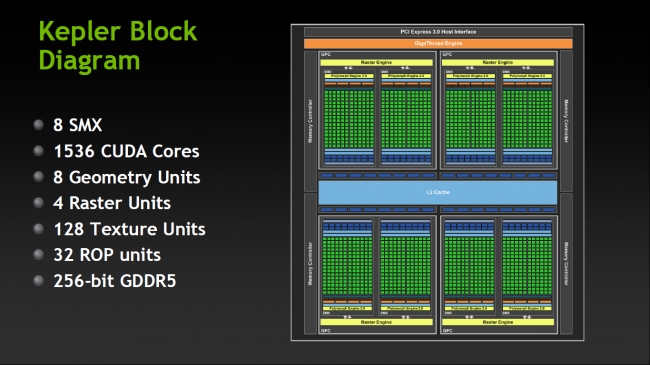 This concludes our review of the announcement of the latest NVIDIA Kepler architecture, which replaced Fermi. More detailed study of the characteristics and capabilities of new products, as well as their testing is waiting for you in the very near future, stay with us!